The name says it all!! - Browbands with Bling & Other Things! 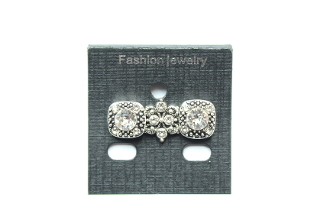 This exquisite Stock Pin is carefully hand-crafted here in the USA from high quality materials such as Swarovski crystals. The Stock Pin is shown in Clear, but you can choose any color you like! or call and I can custom design one for you at no additional charge! You can have earring to match to complete your set for a reasonable cost, icing on the cake! These elegant designs will set you apart in the show ring, or just at the barn!